Soon, the idea of missing an appointment is simply unthinkable! Blissful Healing invites you to experience a tranquil and healthy escape with the sound of complete healing music. Enjoy the serenity and tranquility Blissful Healing has to offer. BHT offers a host of massage and body treatment options. My signature utilizes the side lying position and as many pillows to ensure maximum comfort. Techniques from both Swedish and Deep tissue address common ailments like aching lower back, tight pelvis and sore feet. Benefits include reduce joint pain,edema, stress, anxiety and headaches. Improved circulation, oxygenation of soft tissues and muscles. Better sleep and energy level. Known to ease pain, tension and increase mobility. Stretching and massage are two effective techniques that play a beneficial role in strength and flexibility. This bodywork helps to relieve post exercise soreness and painful muscle cramps. Aka Myofascial Release. Highly effective method aiming to relieve Chronic holding patterns, repetitive motion and past lingering injuries. It focuses on the deep layers of muscles to target stubborn knots and realign tissue. Geared towards athletes and those with extreme muscle tightness. Deep concentrated strokes using elbows and fits along various meridians pathways of the body help to dredge up congestion and restore normal blood and lymph flow. Cross fiber friction is also utilized to pinpoint specific trigger point and relieve common stress points of muscles, ligaments and other soft tissues, due to work, travel or physical activity. Often referred to as the "4th trimester". Birth can be uplifting, yet a challenging experience. Massage and nurturing touch has proven to be extremely effective at helping with postpartum depression, anxiety, physical and emotional trauma associated to this period. Side-lying and semi-reclining are positions often used depending on comfort level. **Postpartum massage is an effective and holistic approach for the many adjustment to motherhood. **Unique benefits include hormone regulation, reduce swelling, better sleep and improved breastfeeding. Whether you are a first time or seasoned mom, massage is a chance for you to receive the supportive and nurturing care you need while learning how to care for your baby. Engaging in sports can be harsh on the body and can often lead to injuries in both short and long term. Sports massage is designed for highly active individuals who engage in athletics. It enhances performance and prolongs a sports career by helping to prevent injury, reduce pain and swelling, relax the mind, reduce fatigue, increase flexibility and dramatically improve recovery rates. Focuses on stimulating and releasing "trigger points" Trigger points are tender areas of tension similar to acupressure point, except they occur in the belly of the muscle rather than along the energy pathway of the body. These "knots" are built up throughout a person's life due to physical, mental, and/or emotional stress. During a session, focused pressure is applied through a variety of techniques in order to release your trigger points. *Can be painful at times, yet the effects are lasting and profoundly transforming. Based on the concept of life energy which flows through "meridians" in the body, according to TCM. Gradual pressure is applied to acupuncture points, instead of needles insertion, with the aim of clearing blockages, thus stimulating the body's natural self-curative abilities. Helps to correct functional imbalances, restore the flow of Qi, and circulation of blood, lymph. ***BHT offers mobile chair massage services to individual homes, nursing facilities, schools or coorporate events. Call or email to book your next event. Lymphodema treatment: Form of contemporary massage designed to assist the function of the lymphatic system by the application of slow, very light and repetitive long gentle strokes that help move the lymph fluid through vessels and nodes, thus help fight infection. Benefits: Reduce water retention, swelling, puffiness, speed up healing in scar tissue and recovery from illness. Characterized as pseudoscience. This is a form of non-invasive, hands-on healing body work, or alternative therapy focused primarily on the concept of "primary respiration" and regulating the flow of cerebra-spinal fluid, by using therapeutic touch to manipulate joints of the sacrum with minor intervention. Light touches to the individual's skull, face, spine and pelvis, intended to relieve pain and tension. Regarded as harmonizing with a natural rhythm in the central nervous system. AKA Zone therapy. Not a massage, although often combined with it. This is a practice involving pressure to reflex zone on your feet, hands or outer ear to affect your entire body (see chart). This ancient treatment is based on that an energy channel encompassing 12 vital organs that exist from our feet to our head. Applying pressure helps unblock that channel to restore health and organ function. BH customized massage for half hour (25 minutes hands-on session). Mainly tailored to quickly meet the therapeutic needs of an acute condition or when time is limited for a full comprehensive session. Focuses on the problem area or simply an express full body massage of any modality. ​BH combination of soothing warm towels, using aromatherapy oils and cool stones that revitalize your senses and allow beneficial oxygen to penetrate your skin. Hot towels to stimulate circulation, while cold stones to help reduce inflammation. This enhancement is wonderful in reducing headaches and sinus pain, ,eye puffiness, or just a fun face massage. Simply refreshing! ​Best deep Tissue massage from this ancient Chinese method. The suction pressure provided by cupping can loosen muscle, encourage blood flow, and sedate the nervous system. Used to relieve back, neck and leg pain, stiff muscles, relieve anxiety, fatigue, migraine, rheumatism and even cellulite! All massage sessions include a 5 minutes for consultation before and after session. For example a 60 minutes massage is a 50 minutes hands-on session. Inhalation or bodily application of essential oils extracted from herbs, flowers, fruits to naturally harmonize and promote the mind body and soul well-being. This This a caring, hands-on therapy which seeks to induce relaxation, restore lost balance, thus unifying physiological, psychological and spiritual process to enhance individual's healing process. It's natural, non-invasive! Smooth heated stones are placed on various parts of the body during a usual massage. 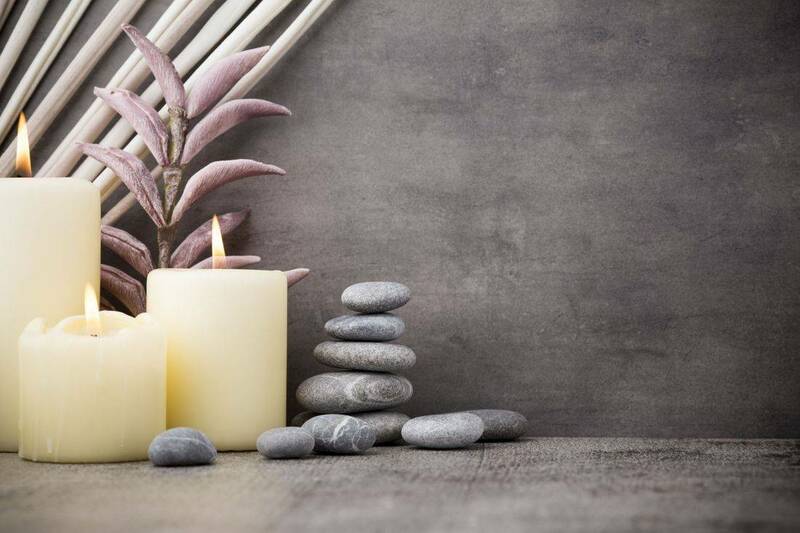 Combining hot stone with a full body massage provides a very healing and effective experience. The hot basalt rocks are used to melt away tension in muscles and carry you into deep relaxation of the mind and body. Ther​mal stones massage also expand blood vessels, which encourages blood flow throughout the body. Hot stones have a sedative effect that can relieve chronic pain, reduce stress and promote deep relaxation. Contraindications: Neuropathy (loss of sensation), Diabetes, Vascular disorders, Epilepsy, Trauma/injury affecting nerves, Pregnancy and any Skin disease. Ideal for Chronic back and neck pain, shoulders and overworked arms and legs. Concentrated therapy using warming treatment such as hot packs, Prosage, and cooling treatment - Bio-freeze are topically applied for deep muscle penetration to reduce pain or inflammation. Promotes pain recovery. A relaxing holistic treatment (practice of Ayurveda) that uses acupressure massage on the head, face, neck and top shoulders. It aims to relax and to re-balance your body's energies. Was originally used to improve scalp and hair condition. It uses variety of pressure and techniques, including circular massage strokes on your scalp, deep work on shoulders and stretching the neck. Benefits: Can make you feel detached and serene, leaving you sighing and wordless, but also alert and clear-headed, alleviating stress. May relieve headaches, eye strain, anxiety, pain and tension in your neck, back and shoulders, clear sinuses therefore help you sleep better and concentrate better. 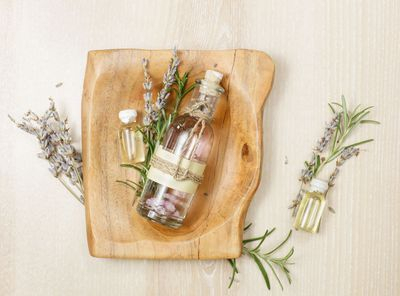 Use of aromatherapy enhances the experience. Who doesn't like a good foot scrub, especially at the end of long day? I use an aloe based, creamy, deep cleansing sugar foot scrub that gently works to exfoliate dry, thick or dead foot tissue, between the toes, and abused soles and heels to rejuvenate dry skin on feet, leaving feet conditioned to a silk like feeling. Use of selected heated or melted Petroleum-based wax to soften and soothe skin, mainly hands and feet. Your hands are submerged in the warm liquid wax of a paraffin hand spa, and the wax then hardens slightly on your skin and is removed, pilled away after a few minutes. This heat treatment helps deep-moisturize and condition the skin on your hands/arms, and your nails and cuticles. Benefits: The heat also helps temporarily soothe aching joints and increase circulation, which gives hand more youthful appearance. This heat has a relaxing effect, helping calm and relieve stress, as warm bath does. choice of Lavender, Orange-Peach, Eucalyptus, Unscented. Contraindications: Open wounds obviously or any skin condition, sun burn, vascular disease where circulation is impaired, diabetes, pregnancy.